Vaccinations can protect your clients from diseases and illnesses. 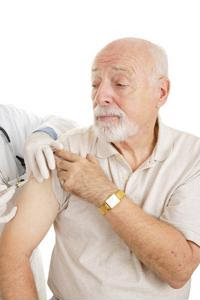 Your clients may need to be updated on their immunizations. Some of the shots that are available today weren't around when your clients were younger and others may just need updates to ensure their protection against illnesses and disease. There are at least 17 disease your clients will be protected against when they receive all of the proper immunizations. Some of these illnesses can have serious side effects such as loss of hearing, paralysis and, in some cases, death, so it's essential as a provider of senior care services that you also make sure they are up-to-date on all of their vaccines. When your clients have all of their immunizations, they're also protecting those who are unable to receive vaccinations due to allergies or other health reasons, such as getting sick because their bodies are unable to develop an immunity to the disease. Receiving adult immunizations will also help your clients stay healthy and be protected against vaccines that were given during childhood but have since worn off. There are also different diseases from when your clients are younger, so you also want them to be protected from those.